When I asked New York land trusts, “In 50 words or less, tell me how you’re changing lives,” they delivered. Here is a look at how land trusts across New York made a difference in their communities in 2018. From conserving critical wetland habitat to expanding public access trails to bringing community residents together in a new park, New York land trusts are making a positive difference in their communities. Browse the stories by the following topics, or read them all! 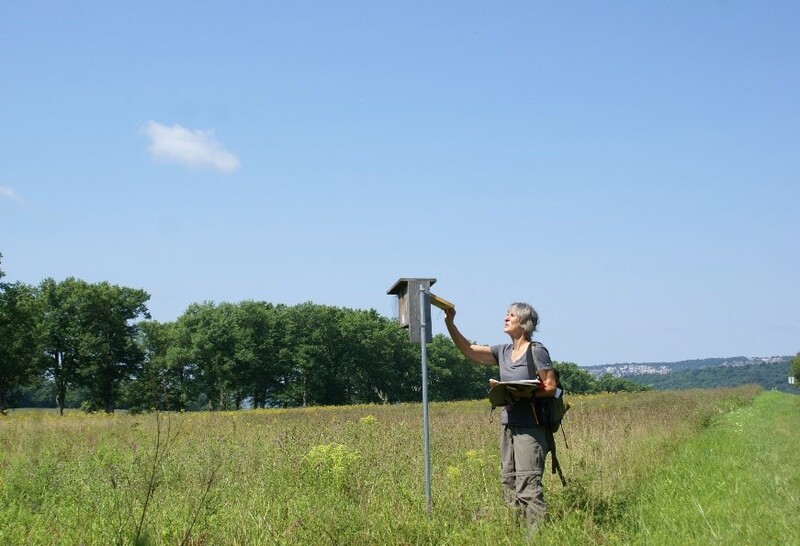 The accredited Mohonk Preserve’s new Bluebird Trail program engaged citizen scientists and students to install, monitor and record data for 86 bluebird nests and we’re sharing results with the Cornell Laboratory of Ornithology to support bluebird research worldwide! The 31-year old accredited Rensselaer Land Trust has completed a Countywide Natural Resource Inventory and Conservation Plan, a Hudson River Access Plan, and started successful partnerships with the NYSDEC Water Quality Improvement Program Source Water Land Protection Program for the Tomhannock watershed, and The Greenway to open the Albany-Hudson Electric Trail. Many Rensselaer County residents recall Hurricane Irene and related damage to roads, homes and waterways in 2011. In partnership with local engineering firms, the accredited Rensselaer Plateau Alliance launched a one-year watershed resiliency study looking at ways to slow down flood waters during future storms. The study will also explore possibilities for restoring lost habitat. 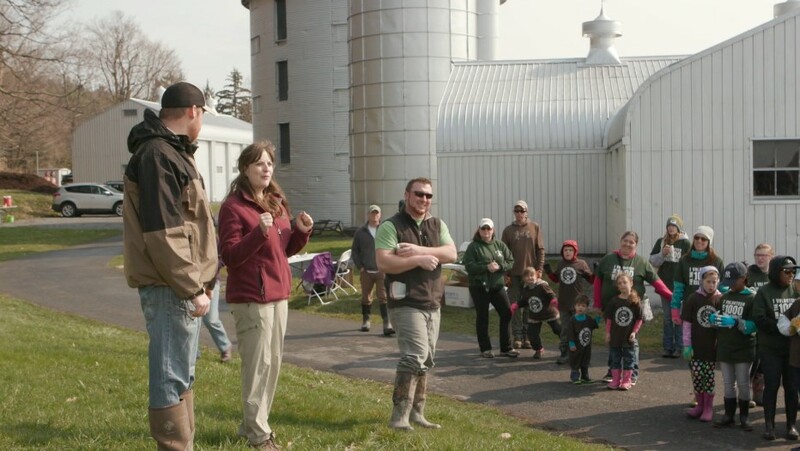 Thousand Islands Land Trust (accredited) shared stories of the impact their Zenda Farms Preserve has had on the community through an informative video, showcasing their educational opportunities, annual community events and the community garden. Watch the video here! The accredited Agricultural Stewardship Association’s program, "Hunters Helping the Hungry," teamed up with local hunters and meat processors to utilize an abundant natural resource — deer. Hunters harvested the deer and the ground venison was donated to a local food bank to help feed the hungry in the Capital District! Otsego Land Trust (accredited) permanently protected 7,500 feet along the Susquehanna River, thereby conserving critical wetland habitats and protecting healthy waters that eventually flow down to the Chesapeake Bay. The land trust plans to open the site for public water access and outdoor recreational activity in the next two to four years. 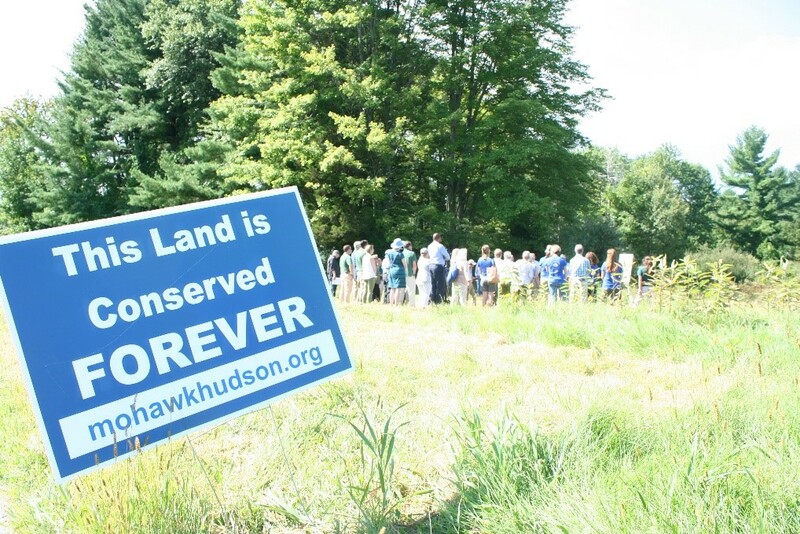 The accredited Mohawk Hudson Land Conservancy protected 35 acres of open space in a highly-developed area. This land will expand an existing environmental center and increase our communities’ ability to get outside. A rush of support from the community helped us quickly meet and surpass our fundraising goals for this project! The accredited North Salem Open Land Foundation partnered with the town of North Salem for community conservation by transforming a half-acre Brownfield site in a town hamlet into an environmentally-friendly park with native plants and a gazebo for local residents to gather. The accredited Woodstock Land Conservancy purchased two properties protecting an essential mountaintop ecosystem with dramatic views of the town of Woodstock. These properties are contiguous to five others already owned by the land trust, and abut both the town of Woodstock and Woodstock Byrdcliffe Guild lands, collectively making up an undisturbed habitat of nearly 700 acres close to town. 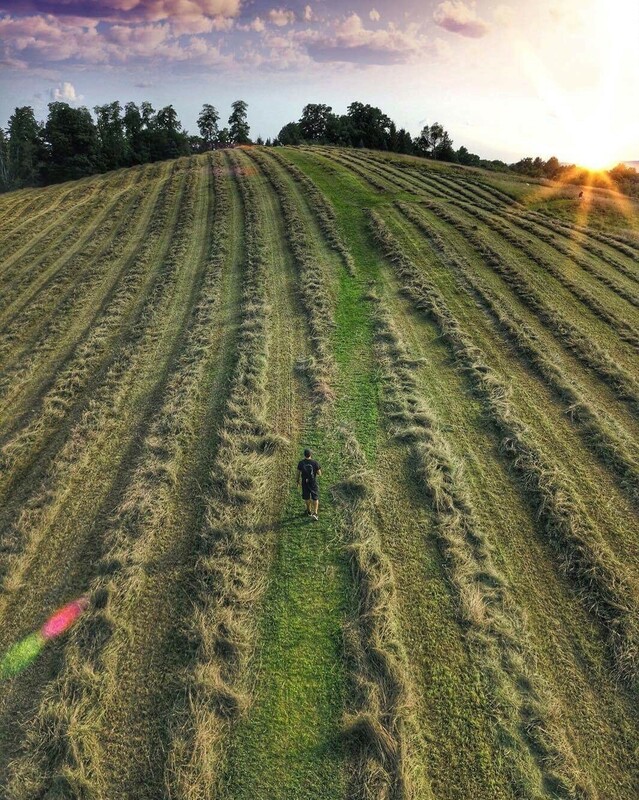 In addition to conserving land and expanding public access trails, the accredited Winnakee Land Trust brought people together throughout 2018 for community events, including the popular Full Moon hikes at its Burger Hill Preserve. Winnakee’s annual Barn Tour provided an exploration of distinctive historic barns and farms throughout the region. In 2015, the Battenkill Corridor Connections Project materialized as a way to identify and highlight public access sites within the Battenkill watershed. During 2018, a full scale map of the 18 public access sites and four additional signs were installed to welcome visitors and residents to the area. The accredited Delaware Highlands Conservancy welcomed 3,000 visitors to our Eagle Observation Areas and bus tours to view eagles and learn about our national bird. With the eagle as ambassador, the connection is clear that eagles and people share the same needs: clean air, clean water and a safe place to live. The accredited Indian River Lakes Conservancy finalized the design for their first All Access trail, which is being built in the woods of the Redwood Hill Preserve. Construction of the half-mile loop trail and overlook should be complete in June 2019. We're excited to offer a place where disabled veterans can connect with nature. The Southern Madison Heritage Trust continued its environmental education program at the Leland Reserve for fifth graders in the Hamilton School and expanded to the Madison School. In its 10th year, the program, taught by our board members, includes visits in fall, winter (on snowshoes) and spring. Exploring a streambed is a highlight for the students. Meme Hanley is the New York Program manager at the Land Trust Alliance. To share your conservation success story, contact her at 518-587-6436 or mhanley@lta.org. The Land Trust Alliance plays a unique and important role in New York, as the service center for the land trust community.